Today’s suggested reading list was put together by the team at Buzzfeed. The name of the list, “23 Books You Didn’t Read In High School But Actually Should”, is what caught my attention. Were these books that they claimed I was never asked to read in school, or were they books that I was told to read in school but they presumed I didn’t bother with? Buzzfeed doesn’t go on to actually clarify that point. However, notable books that made the cut for the reading list included The Great Gatsby and Nineteen Eighty-Four. (How can you get through high school and not end up reading that book?) I’m still debating whether Mrs. Dalloway belongs on a high school reading list. Can you really appreciate the theme of the novel at the ripe ol’ age of 17? Out of the 23 books, I am proud to say that I have read all but 6 of them. Whether I read them all during high school is highly doubtful, and at this point, it’s also beyond my ability to recall. 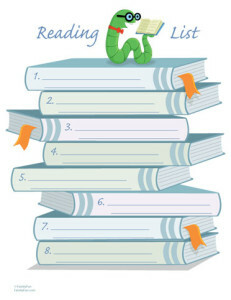 The list/article fails to say exactly why I should run out and read the books that I have apparently missed out on. So for the few that I haven’t checked out, I’m not too convinced that I need to panic and get myself the texts. In fact, I have attempted to read Lord of the Flies as recently as a month ago, only to be completely unable to make myself go past page 10. Alas, the book was returned to the library to collect dust on the Classics shelf once more. You can check out the entire list on Buzzfeed here. How many of these books have you read? Do they all even belong on a high school curriculum?